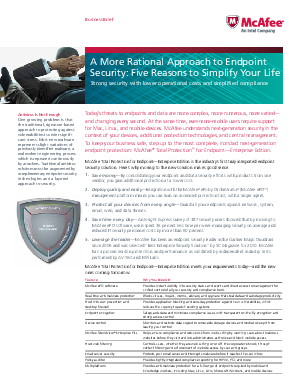 Today’s threats to endpoints and data are more complex, more numerous, more varied — and changing every second. At the same time, ever-more-mobile users require support for Mac, Linux, and mobile devices. McAfee understands next-generation security in the context of your devices, additional protection technologies, and central management.